We knew the ball was being dropped in Coney Island but we didn’t know where. We drove past the Aquarium, past Nathan’s (where I very cruelly did not get a hot dog), past the Cyclones ballpark, past the parachute jump, and not past another single block since it was dark and the neighborhood gets sketchy fast once you pass the parachute jump. There were no crowds, no traffic, no signs of a party at all. Obviously they meant some other Coney Island, not this one. So we literally drove from one end to another at 8:45, only 15 minutes before the event was to, allegedly, begin. People start camping out in Times Square on November 3rd for New Year’s Eve, but in Coney Island not a single person? Surely we were in the right place. Surely it was the right time. Surely we made a mistake? There was no mistake, because just as I left I saw a sleepy security guard in a bright orange vest reflected in my headlights. 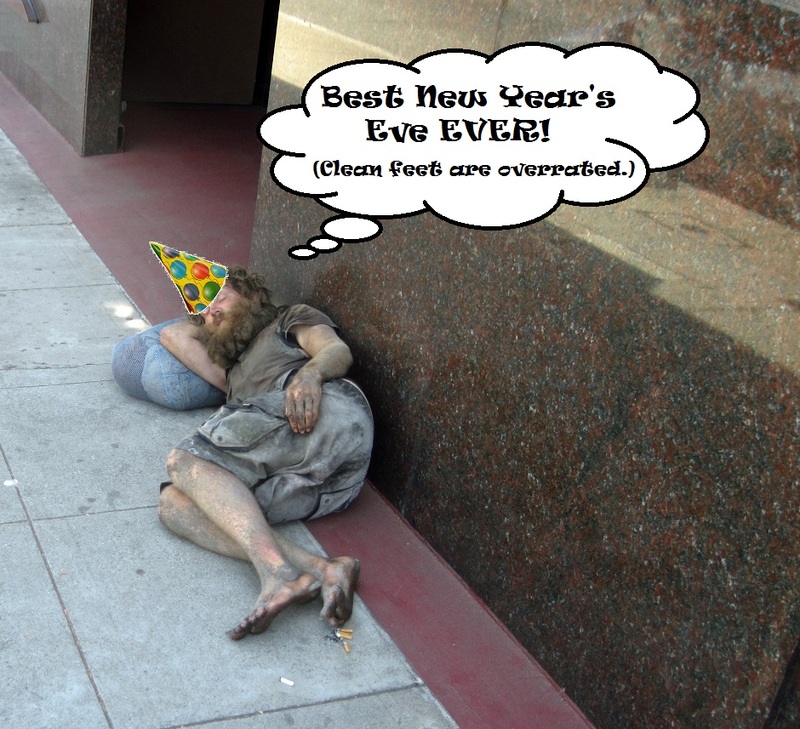 He was leaning against a sign that said NEW YEAR’S EVE! FREE PARKING! If I saw this same guy with that same sign in front of a vacant lot I’d figure it was a scam and I’d end the evening locked in my own trunk wearing nothing but my underwear, but this was the official parking lot for the boardwalk so I gave it a chance. The lot was almost (but not quite) totally deserted and I parked not a dozen yards from the parachute jump, where I saw the first signs of life: a drunk sitting on the steps. But he was wearing a party hat. This must be the place.